The site is hosted by OVH, 2 rue Kellermann 59100 Roubaix, France. 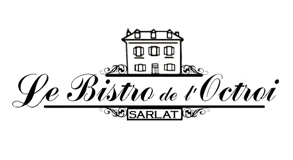 Any reproduction, representation, translation, adaptation, or quotation, whether integral or partial, irrespective of the process, is strictly prohibited without the authorisation of the MEYNARDIE-BISTRO of the grant, except as provided for in article L. 112-5 of Intellectual Property Code. The marks quoted are the property of their respective holders. Some photos and video are free of law, the others are the property of the MEYNARDIE-BISTRO of the granting.